Heat Up Can Food Easily! Heats up to 10 Meals. 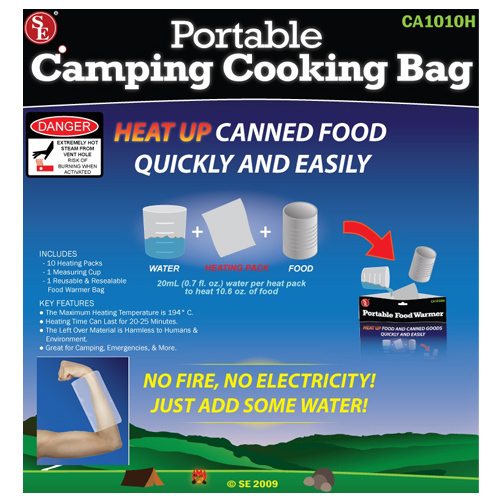 Simply place the can in the pouch - add water (measuring cup is provided) - add heater pad and wait 20 minutes for your hot meal. Maximum Heating Temperature is 194 degrees.